Daylily (Hemerocallis fulva) is originally native to Asia. It was brought over to North America and some parts of Europe as an ornamental, and has naturalized along roadsides and other sunny or partially sunny areas. The orange, or tawny daylily is the most common one to find growing wild, and that’s lucky for foragers because it is also the tastiest. Daylily is not related to the lilies that are commonly sold in florists’ shops. Although they have similar flowers, those lilies at the florist’s are Lilium species with lots of short, spiky leaves all the way up the flower stalks. Hemerocallis (daylily) flower stalks are leafless, and the main, strap-like leaves are up to two feet long and grow from the base of the plant. 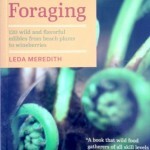 In early spring, harvest the shoots when they first emerge and are completely tender. That’s usually when they are less than eight inches tall. Slice the plants off just above the soil level (they will regenerate from the roots). Chop them up and use them in stir-fries or pasta. Novice foragers sometimes think daylily shoots look like the similarly flat and linear leaves of iris. But look closer and you’ll see that daylily’s leaves face each other like hands about to applaud, whereas those of iris are lined up flat, like a fan. Daylily leaves are more of a yellow-green than the blue-green of iris. And when you dig up a daylily, instead of iris’s soil-surface, horizontal rhizomes, you’ll find ropy roots with attached tubers that look a lot like fingerling potatoes. By the time the plants send up flower stalks, those tubers will have become depleted and mushy. Dig them up before that, from late autumn through early spring. Don’t bother to peel the tubers: just scrub and cook as you would potatoes, remembering that they won’t take quite as long to cook. Finally, in the full heat of summer daylily offers up its fourth edible part: the flowers. Each flower looks like it has six petals (technically they’re three petals and three tepals). The reason for the common name “daylily” is that each individual flower only blooms for one day. Once an individual daylily has enjoyed its day in the sun, its petals close and never reopen. Fresh, they are lovely in salads. Dried, try them in clear broth or miso soups. A version of this post was originally published in Mother Earth News. Hi! 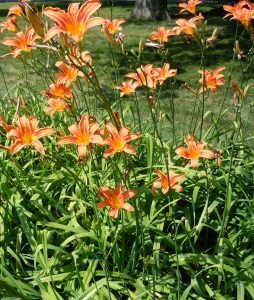 Nice article–I’d like to grow some daylilies in my yard. 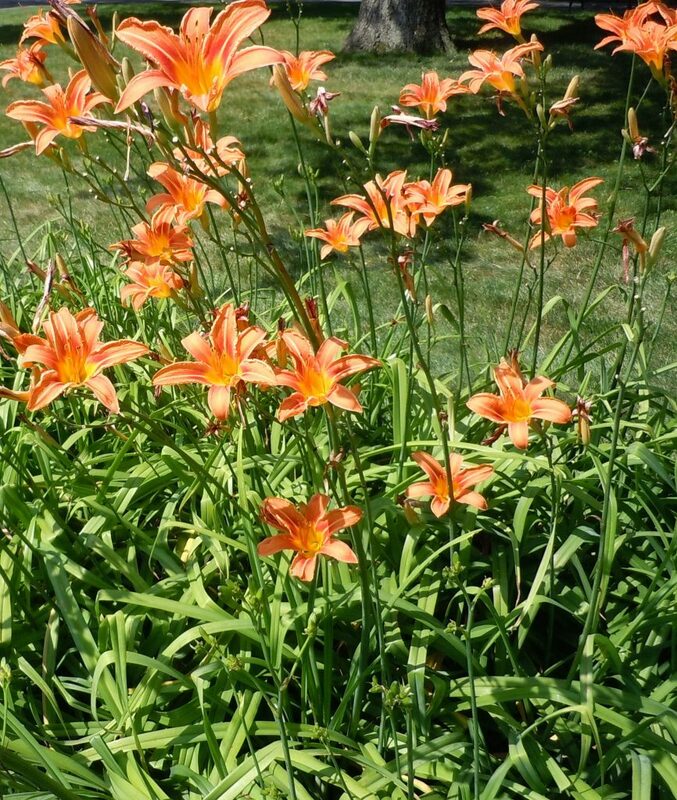 Can you recommend a source to buy organic Hemerocallis fulva seeds or starters online? Thanks!